Tips for Exam, How to Achieve a Better Performance? What happens if tomorrow is your exam? What will you do to pass that trial? Of course, every people have a different thought about this one. There are people who panic over it or people who calmly study to achieve a great grade. How about you? What will you in this kind of situation? If you confuse, check out the best exam tips. Hopefully, it will help you al little bit. 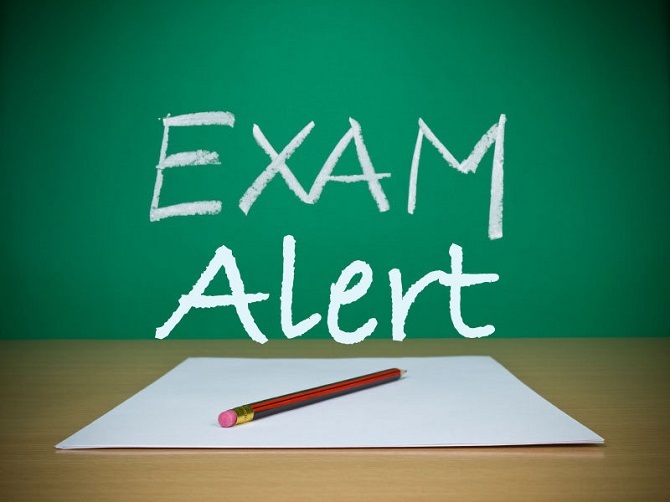 Without further ado, take a look at the tips for exam below. Tips for Exam, Achieve your Best Score Now! Tips 1: Study diligently can affect your performance on the exam. If you study seriously, any questions that pop-up on the exam you can answer it easily without finding any difficulties. Yeah, if you want to know something you need to study and learn it to know the answer to the riddle. Tips 2: Confident in yourself. Even though already study hard if you not confident with yourself. You will likely to forget the answer to the questions. I ever feel this before. Even though I already studied until midnight because I’m very nervous, everything that I learn is useless. So, you need to be cautious about this one. Tips 3: If you meet some people who panicking, I recommend you leave them. Why? Because it will make affect you. They will tell it’s impossible to do this exam or any words that you didn’t want to hear related to the exam. Tips 4: Read the questions carefully. Yeah, everyone wants to finish as soon as possible during exam test. So, as a result, they have mistaken the meaning of the questions sometimes. So, if you want to achieve a better performance, please kindly avoid this one. Read the questions carefully, and answer it calmly. If you study enough, you will finish on time. Tips 5: Choose the easiest questions. Sometimes during an exam, you will find questions that difficult to answer. What can you do if you meet it? My plan is to answer the easiest questions rather than you waste all your time to answer the difficult one. Tips 6: Brain Freezing. Every people must know about this one. Suddenly your brain can’t work properly. Even though you already learn and memorize the answer, you can’t forget about this fact exist. What will you in this kind of situation? As for me, I will draw something that I like or write down anything. I ever doing that and miraculously, my brain working again like normal. An exam can be pretty tiring if you want to achieve a better performance. But, tips for exam from me can help you to achieve your goal. I think is enough for today article about exam tips. If you have any suggestions, don’t be shy, just write down your thought on the comment box below. I really appreciate if you can give your comment to improve my blog to become better on the future. Okay, guys, this is not a goodbye, only a beginning. See you all again next time in my next article and have a nice day. How to Look Good Without Makeup in My Own Opinion!